There’s “duty of care” and then there’s intrusive development that is neither duty nor care! We note with some surprise that English Heritage have launched a £50,000 appeal for remedial work to four cannon, two 18th-Century nine-pounder guns at Etal Castle Northumberland, and World War Two anti-aircraft guns at Dover Castle in Kent and Pendennis Castle, near Falmouth. This appeal comes on top of their existing £20million budget. English Heritage (EH) has a duty to care for the nation’s collection of historic places and artefacts, and says it needs the funding to keep up with the rate of deterioration of not only the four mentioned cannon, but also many others at risk from weather erosion. But it occurs to us here at the Journal that, given that duty of care and the need for funds for restoration work, that EH would be better off reviewing (and cancelling) their plans for work that no-one really wants and that does not fit the duty of care criteria. 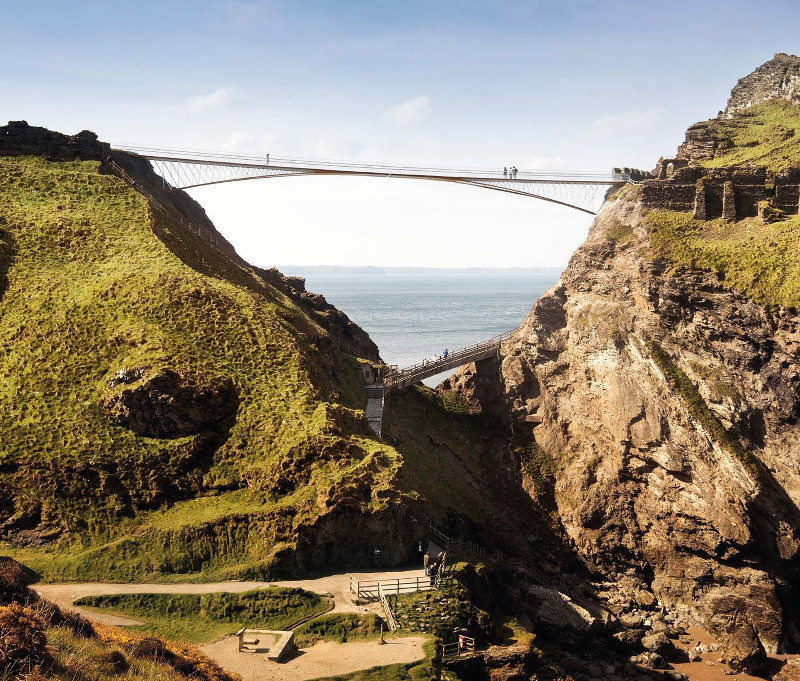 The planned ‘bridge’ at Tintagel Castle is a case in point – it certainly cannot be considered to come under the duty of care heading for the site, being something that is out of keeping with the origins of the site. Indeed the bridge (planned costs of £4million) can only be seen as an unwelcome intrusion, designed purely to increase visitor numbers with no concern for the heritage of the site in question. …and that £4million could pay for an awful lot of cannon to be restored and protected for future generations, with no need for a special appeal.